This is a good question as these two papers are highly scoring. I scored 111 in GS 2 and 130 in GS 3. These scores were definitely one of the highest in both these papers in my attempt. Use the syllabus to chalk up all the sources for the static portion first. These portions would include topics such as constitution, federal structure, governance, judiciary, RPA and IR topics and many such others. For each of these topics, what I had to do was to collect content through online sources and read various Law commission reports, supreme court cases, Laxmikanth (for some static portions) etc. You can make notes on these or use some ready made sources/books/online sources, I refer to later here. Make sure that your concepts are absolutely clear. 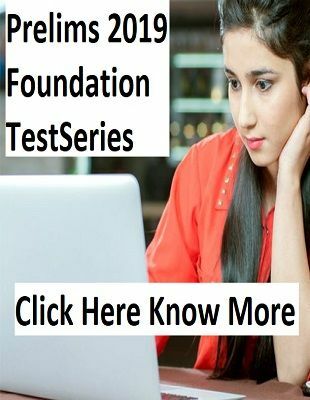 Without knowing the background and basic fundamentals, you will not be comfortable even with current affairs questions as UPSC requires some analysis and critical approach to answer writing. For GS 3, relatively lesser number of static topics are there as most of the syllabus is dynamic in nature. There, here focus on current after covering some static portions, as described below. Monthly magazines from one of the reliable coaching institutes that provide good quality monthly current affairs. Just pick one of these magazines and cover it properly for both GS 2 and 3 sections. Be sure to supplement your current affairs with the background conceptual readings. 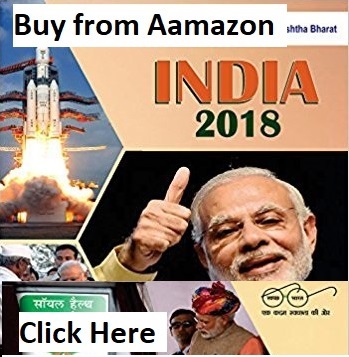 For example, if you read about the issue of Triple Talaq case in the Supreme court or about Aadhar ruling by Supreme court made recently, then be sure to pick up the static books and go through the relevant Constitutional articles and old cases Supreme court rulings as well in these. However, don’t do over analysis. Go through only the benchmark rulings and major events. Laxmikanth for some static portion is useful however the entire book is not necessary at all! In mains, lot of the topics are not covered hence you have to be very careful while reading Laxmikanth for mains (to ensure you don’t waste time). I personally read it only thrice (7–8 hours total) and that too selected chapters. You can refer to my book as well (110+ in GS 2, on amazon). My main aim to launch it was to cover this critical gap for GS 2 in mains and also to provide a comprehensive answer writing approach you can follow. (with over 100 solved answers). I am not trying to sell, but I sincerely do believe it will be helpful for the aspirants as I have put a lot of hard work into it. ARCs, 12th Five year plan (I know it ended in 2017, but there is still some really useful content there which is even relevant till 2020). Make sure you do some basic reading (conceptual from the internet) on issues like unemployment, development policy making in India, sustainable development, budget main features, agricultural policy and such others given in the syllabus. This will help you to form points on major issues, solutions etc. in each of those topics. THIS IS MORE IMPORTANT than reading. I you read well and write even better, it will probably end up getting you more marks than someone who read great but didn’t practice a lot of writing. For this, start writing at least 2 answers per day from online sources (timed) on your own and self-evaluate or use online peer platforms to get them evaluated. Start doing this at least 5–6 months before prelims (but stop 2–3 months before prelims). Then, take full test series after mains. If you have taken test series before prelims itself, just still try to write at least 1–2 questions per day. Daily practice makes a HUGE difference and you will yourself see a considerable difference. 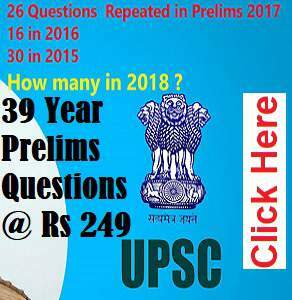 Remember, UPSC is looking for both quality AND quantity. So, an answer of 150–200 words is expected. To do this, you have to make up the mind to do a LOT of answer writing practice. This really helps for all the 4 GS papers and is absolutely necessary in order to develop your speed and sharpness of thought and points you present in the answers. Break down the question in 1–3 parts (if required) and tackle each of it. Don’t get caught up in one part of the question and ignore the other. This is critical. It goes without saying that diagrams/tables etc. make a huge difference but do not overdo them. Only use them where they can enhance the quality of the answer and make it easier for examiner to read your copy. 157 Days remaining for Prelims 2019.Start attempting mocks to get ahead and secure your name in the qualified list.